Boil some water and blanch the cauliflower florets for three minutes and drain. In a separate pan, melt the butter and saute’ mushrooms until all liquid has evaporated and mushrooms have browned slightly. 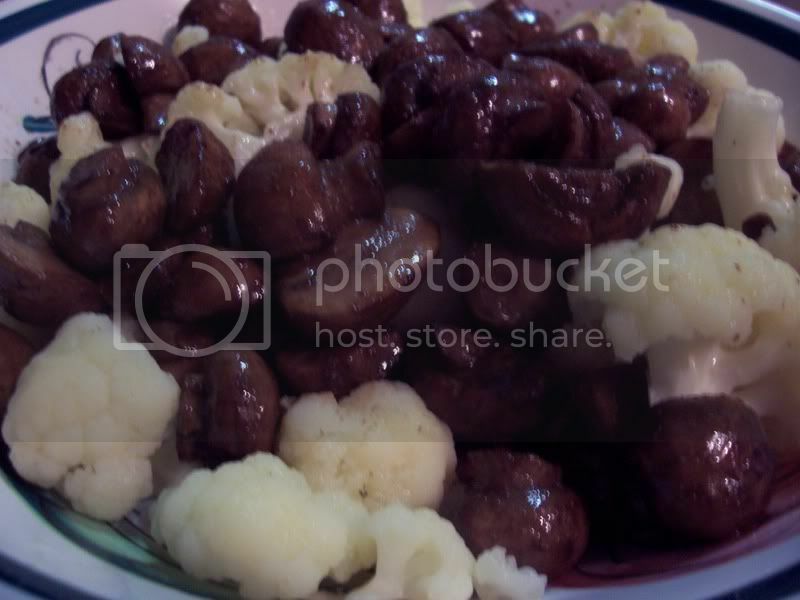 Season the mushrooms with salt and pour the mixture over the cauliflower.